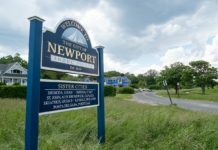 The following is a press release from the Newport Gulls. 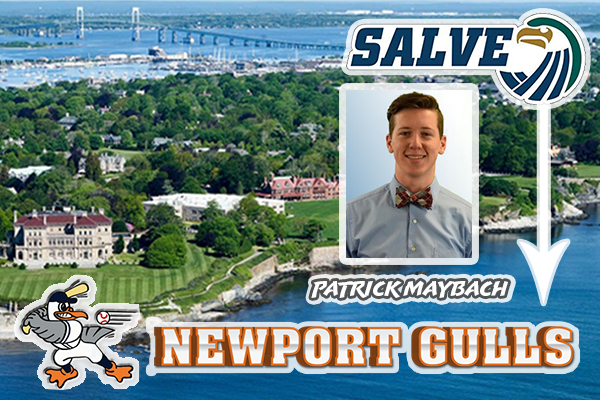 For the first time in the Newport Gulls 19-year history, the organization will welcome a Salve Regina University collegiate student-athlete to their roster. Founded in 1934, Salve Regina University, in partnership with the Sisters of Mercy, is located on 80-acres among Gilded Age mansions and the historic Newport Cliff Walk. Left- handed pitcher Patrick Maybach is a Rhode Island native, having grown up just 30 minutes away from Newport in South Kingstown, RI. He chose to stay in-state to pitch for the Seahawks right here in Newport. Patrick is currently a junior at Salve and has been a vital piece of the Seahawks’ success since he was a freshman. Maybach’s 9-0 record and 1.36 era in 2017 was a driving force that led Salve to capture their second consecutive conference title, a year in which he was named Commonwealth Coast Conference (CCC) Rookie of the Year. Maybach didn’t skip a beat upon returning for his sophomore campaign, leading the CCC in strikeouts, fanning 77 batters in 62.2 innings of work. In total, the southpaw has tossed nearly 140 innings with a K/9 average of 11.06. He has averaged an impressive 14.63 K/9 thus far this spring, a mark that ranks among the top 50 nationally. In the summer of 2017, Maybach pitched in the New York Collegiate Baseball League for the Syracuse Salt Cats. He was selected to the All-Star team after recording 46 strikeouts in 41 innings and finishing the season with a 3-1 record. His 46 strikeouts were fourth in the league, as was his 2.20 regular season era. Maybach was a member of the Nashua Silver Knights of the Futures Collegiate Baseball League this past summer, pitching in four games and starting two. He did not let up a run in 13.1 innings of work, keeping batters to a .205 batting average against. The Gulls are looking forward to having a hometown hero take the Cardines Field mound this summer as the team seeks their seventh Fay Vincent Sr. Cup.